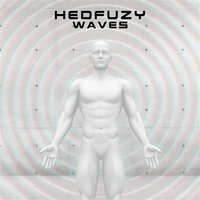 HEDFUZY, a progressive rock creation from Limerick, Ireland is making their mark with their second and newest release, "Waves".With a new lineup backing this sophomore release, Pat Byrne's once solo project is meatier and juicier than ever. This release is harder, groovier and very appealing to a Hard Rock and Prog-Rock fan. "I Am Not Your Enemy"greets us with an instrumental intro that will grab hold of anyone who appreciates a good synth and rolling drums. After the first track and "Black River", I am sold on vocalist, Jamie Callaghan. This guy has pipes designed for Hard Rock and Prog-Rock. The exchange between vocal howls and guitar really hits the mark. As I continue to enjoy the path this is on, “The Boy Who Killed a Man"approaches and hits on another style one should appreciate. Do not let this one fool you; patience is a virtue. This track begins as a solid heavy rock tune, but the beauty lies within the slower, luxurious guitar, precisely spaced foot work and synths that take you somewhere else for a few moments. This is the story-within-a-track piece, which progressive fans will enjoy. "The Lost Star" and"Brick"will delight the head bangers. Simple and well-structured heavy Rock songs may seem easy to come by, but with the added prog-synth and a clever placement of vocals, "Brick"really impressed. As to not disrespect an individual musician, I am not sure who plays guitars where, but again, the guitars on this track rip some incredible riffs. "The Promise"is a very pretty ballad with an introduction from a female vocalist. The fluidity of guitar playing on this track works well with the heavy synth sound. In a more ethereal section of the song: the piano, synth and drums sound as if you have opened a child's jewelry box complete with spinning ballerina. The exchange between the soft and the heavy is brilliantly cohesive. Half way through the track, I found myself checking if a new track had begun, but "The Promise"continues with a heavier attitude as moments of synths and vocals are coming and going. "Shadows for the Disappeared", would make for a great track to introduce people to HEDFUZY.It is shorter for those progressive rock fans that are not ready to take on ten and twenty minute tracks. This has a Classic Rock feel with sharper edges. I could hear this on a soundtrack of one of my favorite 80's movies when the lead role is working hard to take back what is theirs or has now emerged as victorious. This is totally meant as a compliment because I love triumphant songs. Self-titled track, "Waves", begins to wind things down for this release with a beautiful ballad; showing yet another face of this group. Ending on a high note, "Hedfuzy Pt. 2"ties it all together by reminding us what all this band can do. Keith McCoys's legs continue to get a workout as the guitars shred with hard-hitting riffs and beautiful rhythms. Meandering through canals of heavy Rock and Progressive Rock seems to be the HEDFUZYway and I am not disappointed. This is a release that many can take hold of and enjoy over and over. It is just enough without sounding neither contrived nor lazy. It is put together as a composer should by carefully selecting when to just go for it and when to pull back and leave some spaces between the notes and exchanges. This is a great mix of musicians that obviously play well together and have come up with something really edgy and very enjoyable. Showing a wide range of genres in their style, I would not be surprised to hear a lot of the guys share very different band preferences or influences, yet they have taken all of that, respected it and created a very refined release.